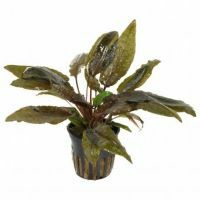 This beautiful variety with the dark, hammered leaves is named after 'Tropica'. 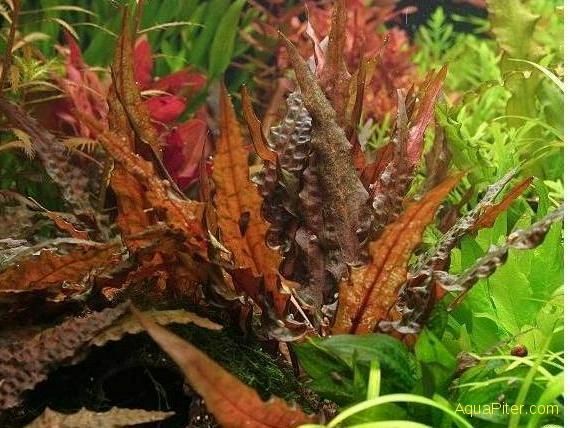 When grown in an open space the leaves will virtually lie on the bottom. 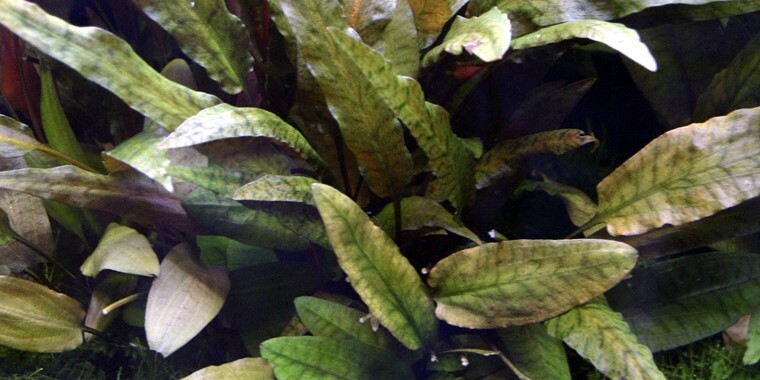 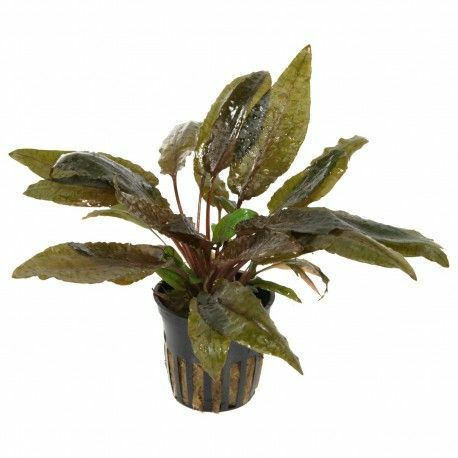 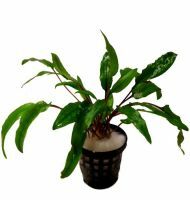 It is suitable for small aquariums with leaves from 10-20 cm, and a rosette from 10-20 cm wide. 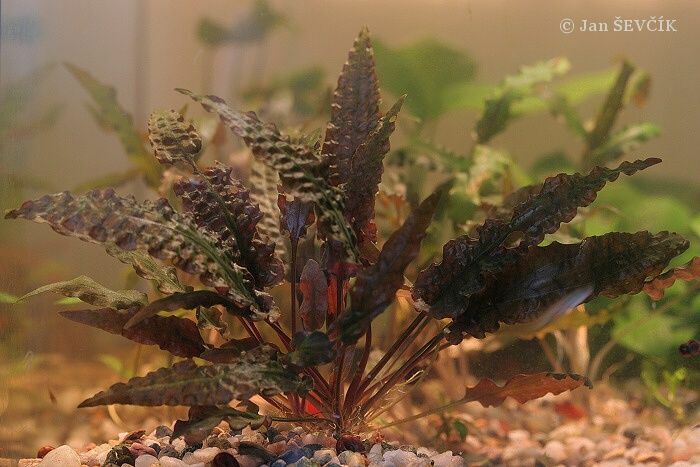 Like most other Sri Lanka Cryptocorynes, it also grows well in hard water.